American Academy of Pediatrics recommends that children under 2 years of age should not be allowed to watch any kind of television. After this age, from age 2 to age 6, the child can have access to a computer or a TV, but this activity should be limited to a maximum of 1-2 hours per day. We live in a world that speaks a lot about human rights, and I believe that our children should have the right to be in our presence as parents, to feel emotions through a normal and natural stimulation of the mind and soul, to interact with other kids, to have a healthy life. 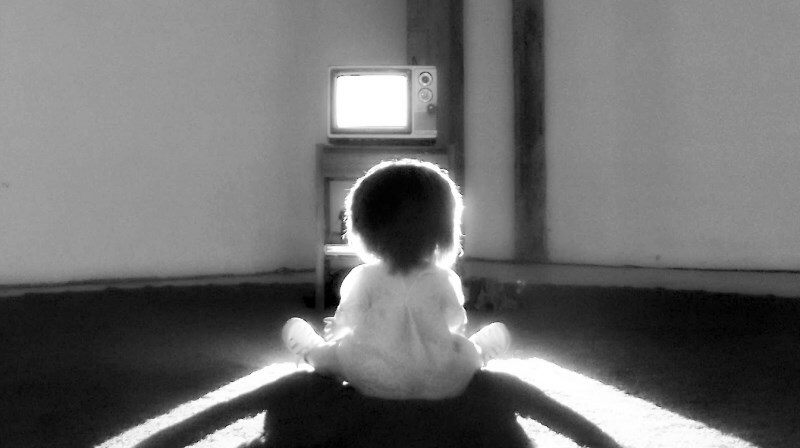 Child abandonment in front of the TV or in front of the computer leads to addiction, anxiety, psychomotor agitation, decreased concentration, depression and even personality disorder diseases like ADHD (hiperkinetism and attention disorders). In rare cases, it could lead to autism. We, as parents, have to censor what the young one is watching on TV! It is best to completely remove TV programs that contains violence, be it verbal or physical and scenes with obvious sexual connotations that are age-inappropriate for the child. The research on this topic state that the first years of the child have an essential role in the development of his brain. A calm environment, an interactive dialogue with parents and touch games will help the child to better understand the world he lives in and to develop his imagination, his cognitive skills. In contrast, children who watch a lot of TV have a reduced imaginative capacity, they do not feel the need to socialize and they have a delayed logical thinking. Another study published in the International Journal of Behavioral Nutrition and Physical Activity, conducted by Dr. Linda Pagani, showed that there is a clear “association between preschool television exposure and the body fat of fourth grade children”. According to scientists, kids who watch too much TV and who experience a sedentary lifestyle will form a habit that will probably continue as the child grows older. In order to fight against these habits, a parent should create a balanced program for his child, adding play time in nature and making possible for him to interact with other children. The purpose of this article is to warn all parents about the negative effects of TV and computer on the child. To be aware of the importance of this harmful exposure could change the way the younger generation will evolve.